These images were taken a couple nights ago while searching for butterflies in dull weather. 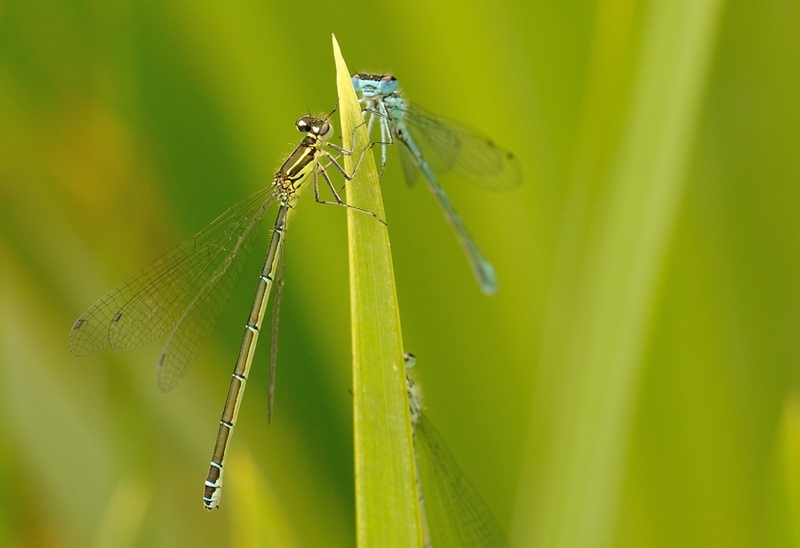 I find the early evening the best time to photo insects as they don't readily fly away! And they are quite docile at this time of day. 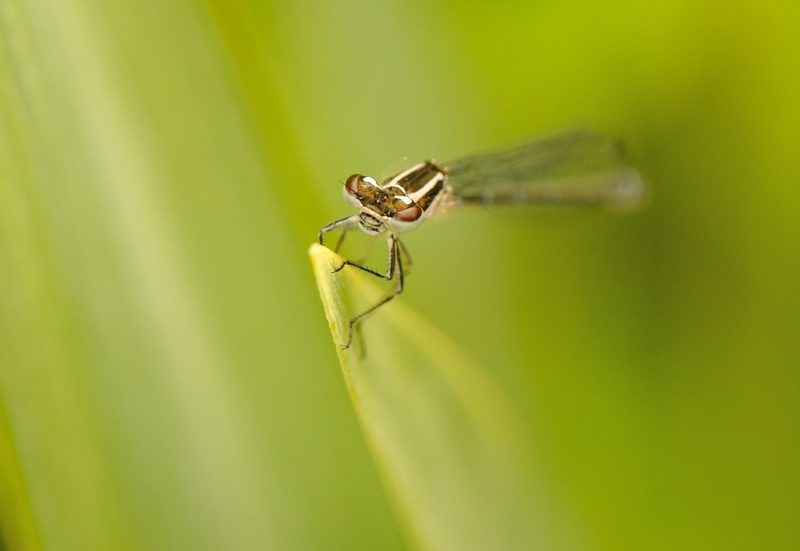 Damselflies can be really tricky as they move and hide on the opposite side of the camera lens. There were about ten Azures and this male and female were preparing to go to roost. Taken with Nikon D3x and 105mm VR Macro. Hand held.